These amazing photos of the recently opened public glass balconies for public viewing. 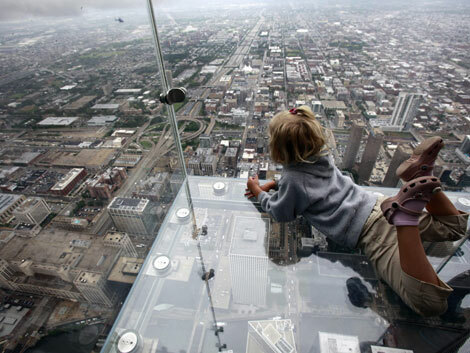 The 1.5″ thick glass floor (which resists up to 5 tons) offers amazing views over Chicago, from 1,353 feet in the air. The Los Angeles based team of Studio SHIFT and SWA Group has been selected to create a master plan for the Sichuan Province, a developing area in China. 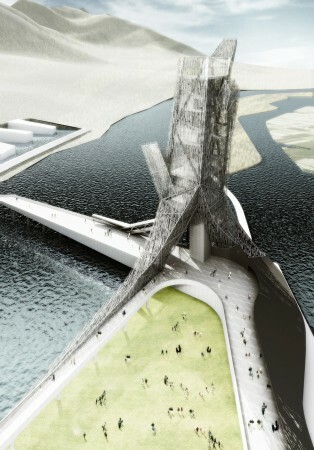 The plan consists of SHIFT’s Miyi Tower that aims to promote the region’s heritage, and SWA Group’s design for a sustainable promenade.